1910 - Rex Tyler is born. 1928 - 18-year-old Rex begins studying biochemistry. 1932 - 22-year-old Rex starts his job at Bannerman Chemicals. 1934 - 24-year-old Rex discovers his Miraclo Pill and first becomes Hourman. 1938 - 28-year-old Rex starts Tyler Chemicals. 1941 - After the attack on Pearl Harbor, the Justice Society is formed, including 31-year-old Rex. 1947 - 37-year-old Rex tries to retire & focus on Tyler chemicals, but finds that he is addicted both to Miraclo & to crime-fighting. 1951 - The Justice Society is trapped in Ragnarok, including 41-year-old Rex, who dies trying to escape. During the actual Golden Age, there were hundreds of characters that were all basically identical to each other, just slightly different riffs on the same theme. Over the years, certain takes on some of those themes started to percolate to prominence, and with the benefit of hindsight, are now viewed as the dominant characters of the era. Certain characters left a strong enough mark that they were soon re-imagined to great success like the Flash and Green Lantern, while others were so successful that they never actually went away in the first place, like Superman, Batman and Wonder Woman. 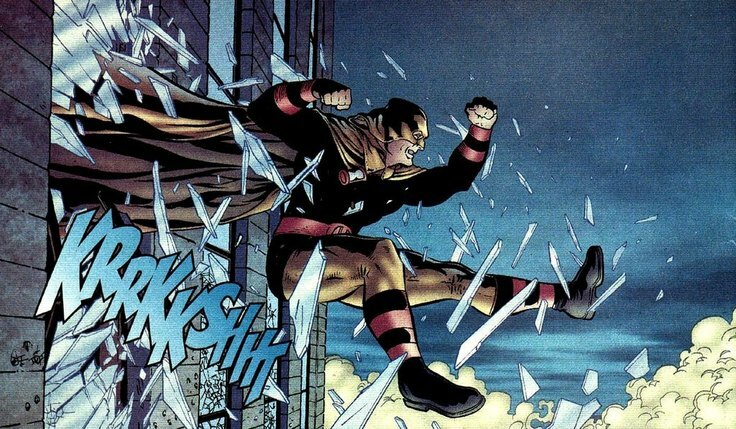 Hourman wasn't one of the characters that was reinterpreted when the Silver Age picked up speed, but he's still considered to be one of the central prominent characters of his era. There was very little we had to do to his story to make it fit, although I'm not sure how much Rex's addiction comes from his original continuity and how much comes from the elseworlds series the Golden Age, which is one of my favorite takes on the characters of this era, but the idea fits very nicely, and there's certainly precedent set later on that Miraclo is addictive. 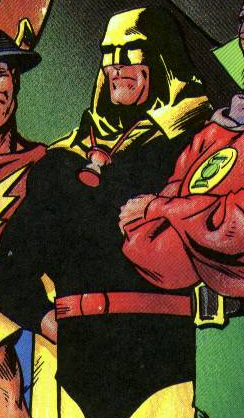 The only thing we removed from continuity was the modern Hourman, Rex's son Rick. He's basically just a carbon copy of his dad, so the work required to get him to exist in the current timeline doesn't really pay off.